Posted January 2, 2015 by Kelly McEvitt . It’s officially 2015! You’ve probably spent some time this week thinking about how you can make yourself a better person. You’re probably planning to hit the gym or set a budget. While these are great goals, you should think about your marketing as well! Now is a great time to evaluate your current marketing strategies and practices and make changes for the better. Take some time to look back at 2014. Recognize areas where you succeeded and areas where you struggled. If you saw huge success with a Q4 project, think about how you can duplicate it for similar success in the new year. Think about your customers and tailor your marketing strategies to foster customer loyalty. Know who your target market is, and develop a more personalized experience for them. Your biggest fans can be valuable advocates – show them that you’re listening. Original and inventive content performs best. Take some time to think of clever advertising copy, get artistic with your Instagram images. With Facebook changing their newsfeed algorithm in the past two years, brands can no longer get away with generic content. If you’re not paying to promote your content, then you’d better be publishing creative stuff. What good is it to test new marketing strategies, if you’re never going to follow-up with results? Spend some time recognizing the key performance indicators (KPIs) and then collect your data over time. Evaluate the information and then adjust your marketing strategy based off your successes/failures. For most websites, only 2% of web traffic converts on the first visit (Retargeter). But that doesn’t mean that consumers are never going to convert. This is where retargeting comes in – by reaching out to the non-converters again, you can keep the brand on their minds. Retargeting on Google AdWords and Facebook Advertising has become a very successful marketing strategy. But make sure to set a frequency cap to limit the ads per user. No one knows everything. There is a lot that can be gained from working closely with your colleagues. Suggest team projects to your manager, or simply ask for input from a teammate. You’ll earn respect from those around you and you’ll most definitely learn something. Take time for yourself! This doesn’t mean you should hit the spa on your lunch break (although that does sound nice), but you should set aside some time to work on things that your job description doesn’t cover. Google is notorious for giving their employees a break from their regular work to experiment with new projects. The Google self-driving car came out of this time reserved for innovation. Don’t be afraid to take risks or branch out to new platforms. Our world moves very quickly these days, and there is no time to sit back and wait to see how things pan out. A lot of marketers were slow to take to Snapchat or Vine for fear that the social networks would be obsolete within a year…now they’re late to the party. 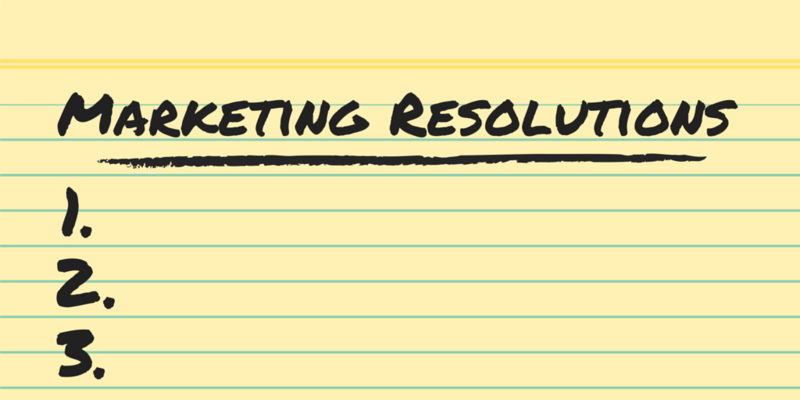 If you’re looking for help with your marketing in 2015, call us at (303) 703-8000. We can set you up with a FREE marketing assessment! You can also connect with us on Facebook or Twitter!